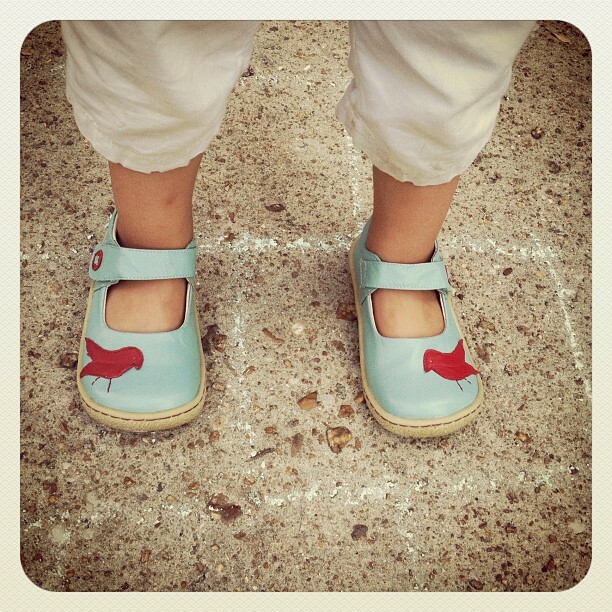 We found these little shoes recently at Verde Kids. They were on sale – and they have lots of other lovely things on sale right now. It’s a great little store to visit. I thought these shoes would look really cute this fall, but as soon as they came out of the box they were on her feet and they’ve hardly left them since.